Living a Fit and Full Life: Go on an Adventure with Molang: Season 1 from NCircle! + Giveaway! Go on an Adventure with Molang: Season 1 from NCircle! + Giveaway! Go on an adventure with Molang: Season 1 from NCircle! 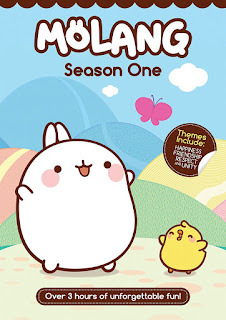 Molang: Season 1 from NCircle is an incredibly cute DVD for kids. Molang and Piu Piu are quite different yet they always seem to enjoy every single moment together. Together they make each episode extremely entertaining and an absolute pleasure to watch. My kids love the adventures in every episode! The characters are absolutely adorable and I love how fun each episode is. I also love that Molang: Season 1 from NCircle teaches kids to slow down and appreciate things. 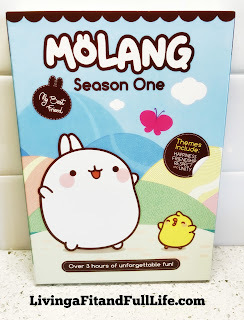 Molang: Season 1 from NCircle is a super fun DVD for kids that my family and I adore!